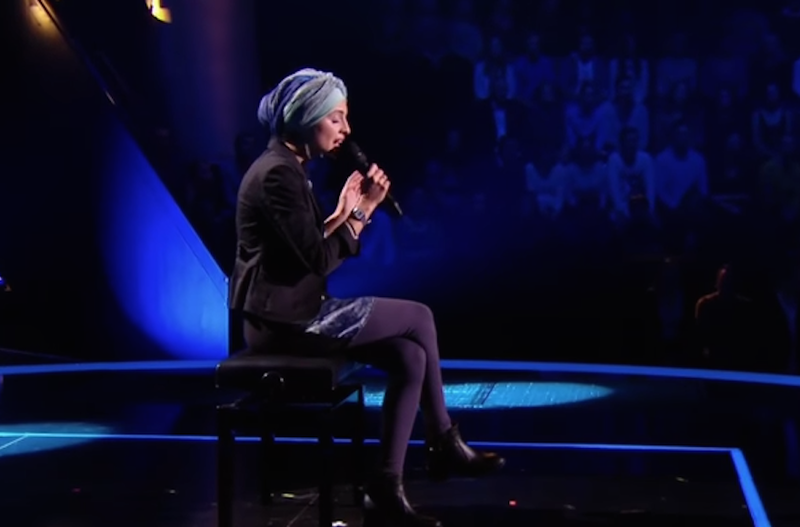 A Muslim singer who participated in France’s The Voice has quit the show after being criticized for comments she made on social media. Mennel Ibtissem, 22-year old, was skeptical about the terrorist nature of the 2016 Nice lorry attack. However, she defended her position on that issue, saying the message from the day after the attack was taken out of context. She made herself famous after a video of her singing Leonard Cohen’s Hallelujah had gone viral on YouTube, being watched over 900,000 times. The social media comments, which have now been deleted, came to surface after her performance on France’s The Voice. French media reported that the Muslim singer doubted the nature of the terrorist attack, which claimed 86 people on Bastille Day. “And to always remain faithful the ‘terrorist’ took his identity papers with him. It’s true that, when you’re planning a dirty move, you don’t forget to take your papers,” Ibtissem wrote on her social media. Weeks later, she blamed the government for the terrorist attack on a church in Saint-Etienne-du-Rouvray, which killed an elderly priest. The comments sparked controversy on social media, with some internet users saying it was an insult towards the victims of the Nice attack. TF1, The Voice’s producer, has also been pressured to remove Mennel Ibtissem from the competition. However, others came to the singer’s defense, arguing she was being unfairly treated for being a Muslim. The Muslim singer quickly apologized after the posts emerged, saying she condemned any act of terrorism. But she announced her resignation from France’s The Voice on Friday. “I’ve never meant to hurt anyone and the idea that I would do it on purpose pains me a lot,” Ibtissem said in a video posted on Facebook. She later added that she will keep spreading the message of peace and tolerance, far from all types of fanaticism. Her resignation’s announcement has been watched more than 500,000 times, with hundreds of internet users throwing support for her. More details to follow. Image 1 of Mennel Ibtissem from Jewish Telegraphic Agency.